What Are the Popular Blu-ray Formats? In the modern era, Blu-ray Disc has already won the praise of many high-quality video enthusiasts. So what is Blu-ray? Why can Blu-ray bring such a change to digital life? Actually, Blu-ray is a new optical high definition disc format which is developed by a group of media manufactures in 2006. Blu-ray is also called Blu-ray Disc which is commonly known as BD. Compared with current optical disc technologies such as DVD, DVD-RAM which all use a red laser to read and write data, Blu-ray relies on a blue-violet laser which has a shorter wavelength. This feature could enable the disc to pack data more tightly in less space. So Blu-ray can hold up to 25G on a single-layer disc and could provide consumers an unprecedented HD experience with the extra capacity combined with advanced video and audio codecs. In comparison with DVD, Blu-ray could provide a better picture and higher definition. In most cases, the audio, video and other streams stored on Blu-ray Disc are all based on MPEG transport stream. So usually the popular Blu-ray videos are in the format of MPEG-2. In a specific term, you will find more formats for the Blu-ray Disc Audio and Blu-ray Disc Movie, such as BDAV for audio/video recording, BDMV for movie releases, RREF for recording and editing applications and so on. Since Blu-ray is so attractive, it is so needed to know more about it. Next I will introduce several powerful Leawo Blu-ray related programs for your further reference. With these Leawo Blu-ray products, you will go further on the way of Blu-ray Disc. 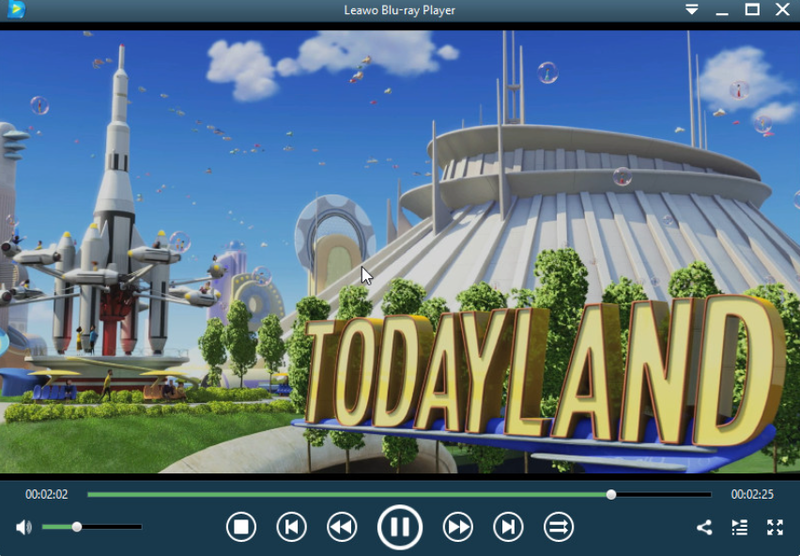 As a 6-in-1 Blu-ray media player software, Leawo Blu-ray Player contains all media solutions you need for leisure, of course including Blu-ray videos. Being a free Blu-ray disc player software app, it plays Blu-ray discs for totally free. With advanced audio and video processing technology, Leawo Blu-ray Player could offer you superb movie experience. While playing Blu-ray, you can also personalize the playback according to your preference. The second commonly used Blu-ray software is Blu-ray Copy. Sometimes, you may have the need to copy the video in Blu-ray disc to keep them in digital formats. Here, Leawo Blu-ray Copy can be your good choice. Leawo Blu-ray Copy could allow you to 1:1 copy Blu-ray movies in forms of disc, folder and ISO in 6X faster speed without quality loss. It can also copy Blu-ray 3D disc in 1:1 disc to disc duplication with subtitles and audio tracks retained. Besides playing and copying Blu-ray dics, Leawo Blu-ray Ripper could meet your the requirement of ripping videos and audios off Blu-ray to save in all formats for any media player and device. Leawo Blu-ray Ripper is able to rip Blu-ray to 180+ video/audio with 100% original quality and 6X faster speed. With Leawo Blu-ray Ripper, you can personalize the Blu-ray movies including file merging, media editing, 3D movie creating, parameter adjusting, etc with the best output quality. Another big issue is how to obtain a Blu-ray disc. The only way to burn a Blu-ray disc is to use a piece of Blu-ray burning software. 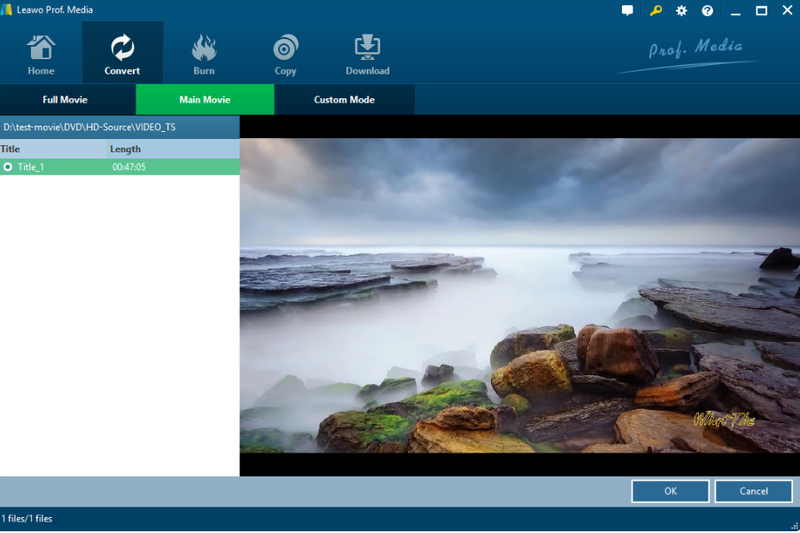 As an all-inclusive Blu-ray burner software, Leawo Blu-ray Creator could support more than 180 file formats to be burned to the Blu-ray disc. It could handle Blu-ray/DVD burning tasks like AVI to Blu-ray/DVD, MKV to Blu-ray, MP4 to Blu-ray/DVD, and others at the same time. During the burning process, Leawo Blu-ray Creator offers multiple preset disc menu options including DIY disc menu etc. Sometimes, you may meet a dilemma that you fail to play Blu-ray in some devices such as Xbox because it does not support Blu-ray playing, and only MKV format is supported. Under the circumstance, you have to convert Blu-ray to MKV format in order to be compatible with the device. 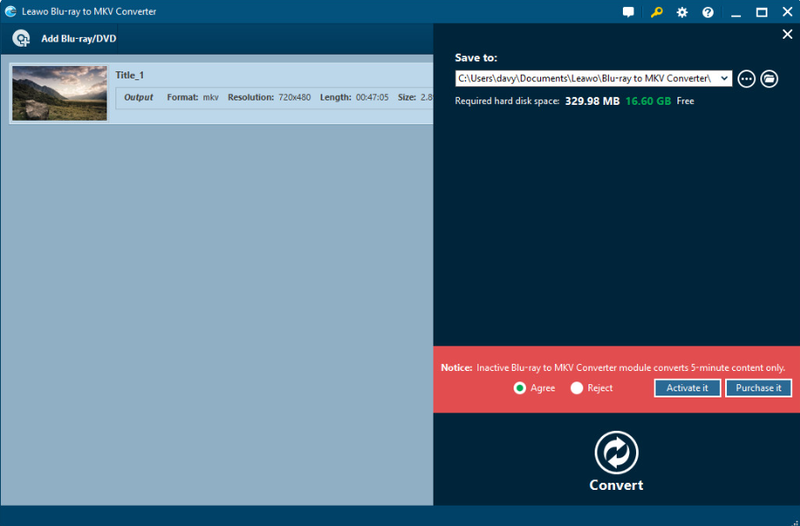 Here, Leawo Blu-ray to MKV Converter will be helpful. This program is focusing on the conversion from Blu-ray to MKV in 1:1 lossless quality with all original subtitles and audio tracks and 3D effects perfectly retained. Above all, in order to gain better experience of Blu-ray, I strongly recommend you to use the Leawo Blu-ray products mentioned above. 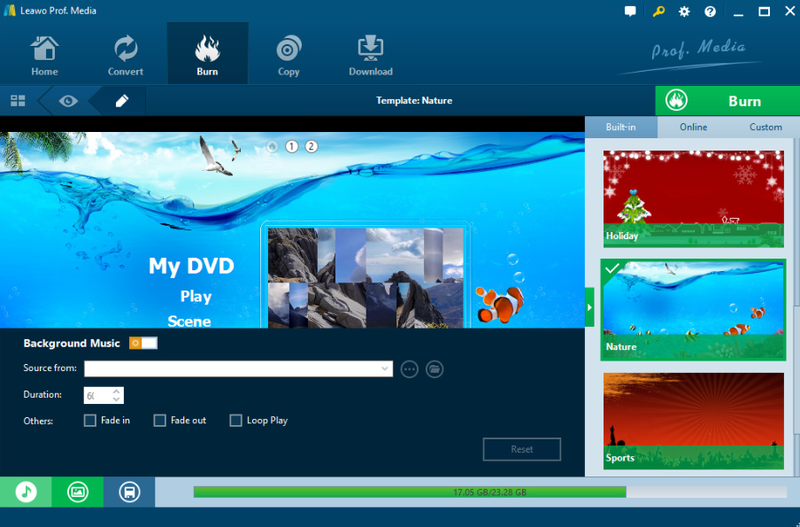 With its powerful and comprehensive features, you can have a deeper understanding about Blu-ray and you will find that Leawo Blu-ray software are the best to handle Blu-ray. Just try it.